Craving the incomparable flavor of home-grown vegetables, but don’t have the space for a garden? MAFES scientists Drs. Christine Coker and Gary Bachman have developed easy ways for Mississippi residents to have a flourishing vegetable crop without actually having a traditional garden. Dr. Coker specializes in raised beds, which are garden beds installed above the ground, so that no tilling is required. She sees the rising trends toward raised bed gardens and container gardens as part of a larger local food movement, which encourages people to source their food from their surrounding community. “If you think about the broader idea of local food, you can’t get more local than your backyard or your patio. ‘Hyper local farming’ has become a thing. My goal isn’t to get everyone completely self-sustainable or off the grid, but to help Mississippians make steps to start small. It may be a single container of lettuce on your balcony, but even that makes you a part of the food system,” Coker explained. At the Coastal Research and Extension Center, located in Biloxi, Mississippi, Coker has a tidy raised bed garden area, where she and fellow researchers grow food that then gets shared throughout the research station. Coker, who is also an extension horticulture specialist, uses the garden as an education center for visitors. The People’s Garden has helped establish 1,924 gardens, and has donated 3.9 million pounds of produce since its inception in 2009. The gardens established by the initiative are community-oriented and collaborative and include school gardens, urban farms, and small-scale agriculture projects in both urban and rural areas. Through this project, Coker has helped inspire people of all different walks of life to look at their food differently. “I’ve worked with all different groups, and it’s amazing what happens to people when their hands touch soil. Just touching soil is transformative, and if you get something to eat out of it, it’s a huge bonus,” Coker said. 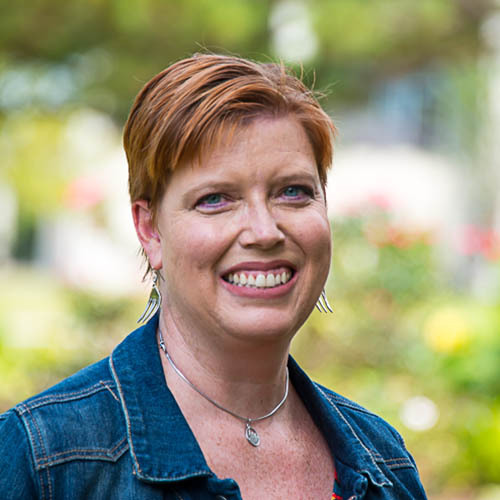 She also hopes that encouraging people to grow their own food will address the lack of access to fresh produce that many Mississippians face, and will strengthen the food system by diversifying sources. “Food system resiliency is a hot topic right now—it means having a system that can withstand global changes like climate change, urbanization and the like, as well as unexpected shocks, like natural disasters and financial crises. This concept encompasses the occurrence of food deserts, geographic areas that lack access to grocery stores that carry fresh produce. One way we can make our food system more resilient is to teach people to grow at least some of their own food, so that they can offset nutritional voids,” Coker explained. Bachman is helping to address the same issues through his work on container gardening. In particular, he’s narrowed his research to containers designed to help beginner growers succeed with irrigation technology. “Dr. Coker and I are working on the same issues, and we have the same goal, which is that we want home gardeners to be successful. My background is in nursery production—essentially, growing plants in pots,” Bachman said. He uses his experience in container gardening to help hone in on the common problems that beginner gardeners have, so that they are better able to grow their own food. One of the best tools he’s found for new gardeners are subirrigated containers such as the EarthBox®, an affordable planter with a reservoir in the bottom to help plants stay properly moist. “One of the biggest mistakes novice gardeners make is to not water enough. They hear the weatherman say that it’s going to rain later and so they don’t water—big mistake. What I love about subirrigated containers is that they maintain a consistent root-zone moisture. This doesn’t mean you don’t have to water—no, you have to water just as much as before. But it helps plants flourish, and people are more likely to get to taste success,” Bachman explained. Bachman sees the lack of knowledge about backyard food production to be an issue that spans generations. “I work with many people and families, and a lot of those folks have never gardened before—and their parents have never gardened before—so it’s multi-generational. Our idea is to help them be successful on a small scale, so that they keep going. If they plant one tomato plant, and it works out well, next year maybe they’ll plant two,” Bachman said. 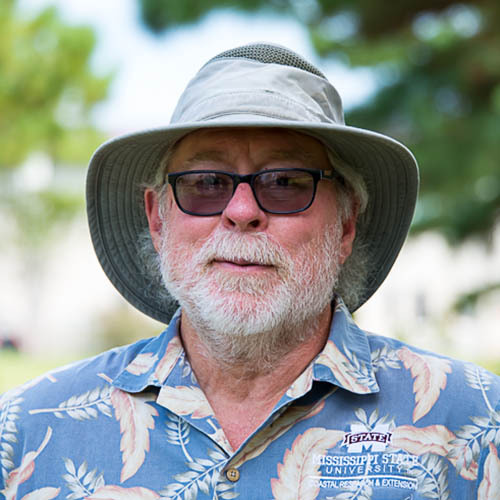 Currently, Bachman is studying late season heirloom tomato plants, trying to determine which variety of plant is most likely to produce bountiful fruit late in the summer. “Several years ago we planted a fall trial of indeterminate growing tomatoes, and they didn’t produce nearly as much as I would’ve liked most likely because of competition between vegetative and reproductive growth due to decreasing temperatures and day lengths. This year we planted both determinate and indeterminate varieties. I suspect that we’ll have better success with determinate tomatoes,” Bachman stated. Indeterminate tomatoes are vine tomatoes that continue to grow until they are killed while determinate varieties grow in a bush until they reach a certain size. Experiments like these have helped Coker and Bachman hone in on the myriad techniques that homeowners can use to be most successful. Their top three tips for success? Keep an eye on things. Watch out for pests, and know what’s going on in your garden. Water enough! 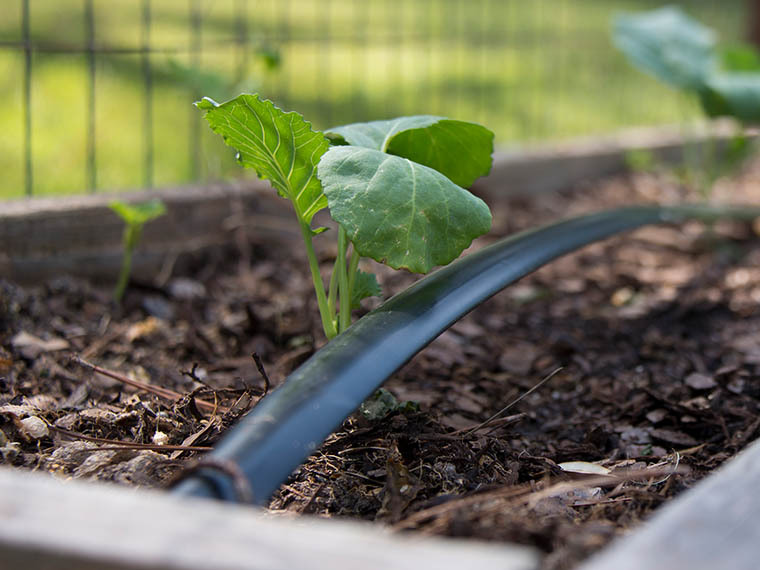 If you’re struggling, rig up an inexpensive irrigation system. The closer the better. Plant close to home so that both of the above are hassle-free. Bachman, who is also an extension horticulture specialist, shares tips for successful gardening through MSU Extension Service’s Southern Gardening program. Passion At Work: Helping homeowners/growers meet the demand for locally grown specialty produce in small-scale gardens all year long. Passion At Work: Whether through my research on the best varieties and production practices for growers, my outreach work with school and community gardeners, or my volunteer activities with a local feeding ministry, my passion is to feed people.